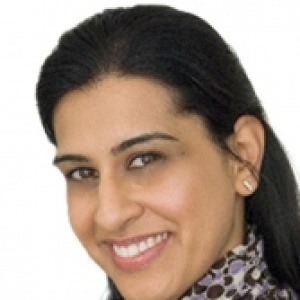 Dr Sharan Gill is an accomplished and highly qualified Orthodontist, utilizing the very latest techniques in orthodontic treatment in her clinical practice. She prides herself on her excellence technical acumen, patient rapport, providing the latest 'invisible' treatment for all ages of adults and the very best quality care in paediatric orthodontics for children. Dr. Gill received her dental degree from Kings College London in 2000, and during her time at dental school has been the recipient of awards including the prestigious Laurence Usiskin Prize from the British Orthodontic Society. Upon graduation Dr Gill work in variety of different dental fields including a substantive time in oral and maxillofacial surgery. Dr. Gill went on to train as a specialist in Orthodontics in London and gained a Master of Science in Orthodontics from University of London, and Membership in Orthodontics from the Royal College of Surgeons of Edinburgh in 2006. Dr Gill is a member of the British Orthodontic Society and the World Federation of Orthodontist. Dr Gill is committed to training and education and also has lectured overseas to orthodontic postgraduates and has worked in Australia worked as a specialist orthodontist in Melbourne. Dr Gill interest outside of Orthodontics includes travelling and photography. She also practices yoga and is a keen reader.